(guest post by TOK Course Book co-author, Mimi Bick) Do you live in a democratic country? If you do you’ll have noticed that leading up to major elections, the media is filled with what experts think will happen when the real day arrives. Sometimes they hit the nail on the head. Sometimes they don’t. Is it reasonable for us to expect pollsters to get it right — and what does that mean? How similar and different are election polls to other areas of data gathering and analysis and their uses? These are questions you might usefully explore from different angles and perspectives in the context of TOK. Where does the word “poll” come from? For those of you interested in etymology, or the history of words, “poll” comes to us from thirteenth century Middle English, “polle” referring to hair on the head (like French “poil”). By the seventeenth century, its current meaning had been established: counting heads that is individual opinions or votes. What is a poll and a pollster? In some countries going to vote is “going to the polls” (plural). But often we also hear about a poll (singular), which is shorthand for an opinion poll. Pollsters are the people who do the questioning. They ask about your voting intentions prior to elections, unless we´re talking about “exit polls”, when they ask us about who we voted for after we leave the voting station. Whether or not you answer them or answer them honestly is another matter. A lot of data can be collected through this questioning process which is then analysed by the experts. In other words polling gives us a sample of opinions on a topic. Accuracy: why are we so successful in our predictions in areas like chemistry and astronomy and much less so in others? Many would argue that the degree of accuracy of our predictions depend on the stability of the system in question. Halley’s Comet is a good example of accurate prediction made possible by our knowledge of the orbit of planets and Newton’s laws. Accurate prediction is certainly aided in this case by the nature of the phenomenon itself – the comet named after Halley has a stable periodicity of 76 years. Other natural phenomena are more intrinsically difficult to predict, either because of their inherent complexity (the weather is a good example) or because we haven’t as yet discovered the right methods for investigating them (earthquakes?). What about the human realm? Investigating human opinions and intentions, as do pollsters, introduces other challenges. Polls as samples – how representative are they? Aside from the absolute number of people who respond to a poll – clearly the more the better for the purposes of getting it right – how representative the sample of people answering a poll is in relation to the electorate is an important fact to take into consideration when assessing a result. An under-sampled demographic group can skew results and lower the reliability of a poll’s results. Will the voting public this year behave as it has done in the past? Particular groups sometimes become important over the course of months or even years. Defined by linguistic, ethnic or religious ties, age or strength of opinion regarding a single issue, an emergent group can easily be underestimated in a poll. Similarly pollsters can overestimate the salience of groups when collecting data. An important principle of modern democracy is for the act of voting to be secret. When you go into the voting box, it is often behind a curtain of sorts. You should never feel bullied into voting for or against a party or candidate or in fear of reprisals for not doing so. When a pollster approaches you face to face at your doorstep, will you answer your true voting intention, providing you yourself know the answer? You might not if you have a strong belief in the importance of voting privacy. But knowing how important polls are in influencing others, you might strongly want your candidate’s chances to appeal by appearing high in the polls, in which case you’ll want to answer honestly and immediately. Nowadays telephones and other digital technologies have greatly aided pollsters in gathering data. But this too opens avenues of inquiry from the point of view of TOK. Are you more likely to answer questions about your voting intention to a remote questioner or to a pair of pollsters ringing your doorbell at home? More likely to answer honestly or dishonestly? These are just a few areas pollsters contend with when collecting their data. Like other opinion surveys, elections polls can ask different questions and the exact formulation of the wording will influence respondents answers and so the results. You may ask people directly about their voting intentions — If the election was held today, do you know which candidate you would vote for? If yes, who? Another kind of question with a very different approach asks which candidate you expect will win the election. According to some studies, this second question is more likely to get it right than asking about voter intentions. Two weeks before the recent events in Canada few believed that the election would produce a Liberal majority government. The polls were indicating other outcomes almost until election day itself. Why couldn’t they get it right? First of all, a poll is like a still photograph – snapping and freezing opinion which in fact is constantly shifting and changing. Secondly, pollsters use mathematical formulae – about which there is academic controversy — and extrapolate based on probabilities. If you haven’t decided between candidate A and B and there´s a huge media splash the day before the election that candidate A is going to sweep the country, how would you react? Who doesn’t like to triumph? Since you like the feeling of being on the winner’s side the poll persuades you to vote A. Not you? Alternatively, some of us like to support the underdog which in this case might be enough to persuade us to vote for B. Some countries prohibit publishing polls several days before major election precisely because of their potential effect particularly on swing and undecided voters. We´d like to think they do so in an effort to encourage us citizens to use information about party platforms and candidates’ previous performance and character to inform ourselves when we vote. Next time you encounter the results of a poll, take the time to find out about the organization conducting the research, the questions asked and the methods used. And don’t forget about finances. 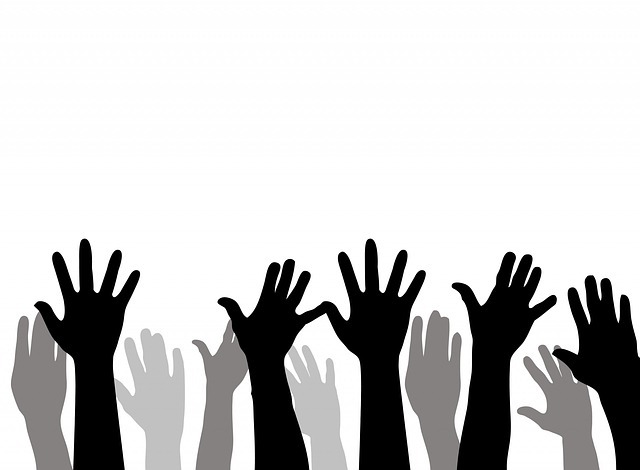 Public and private polling organizations might have their own, politically charged, agendas. ACTIVITY: Apply your awareness to real life examples. To place polls more fully in context of the methodology of the human sciences, see chapter 18 in the TOK Course Book. Looking for more thought-provoking resources to support your TOK teaching? Subscribe today.